The 22 trumps when joined together (as in the illustration) form one picture. 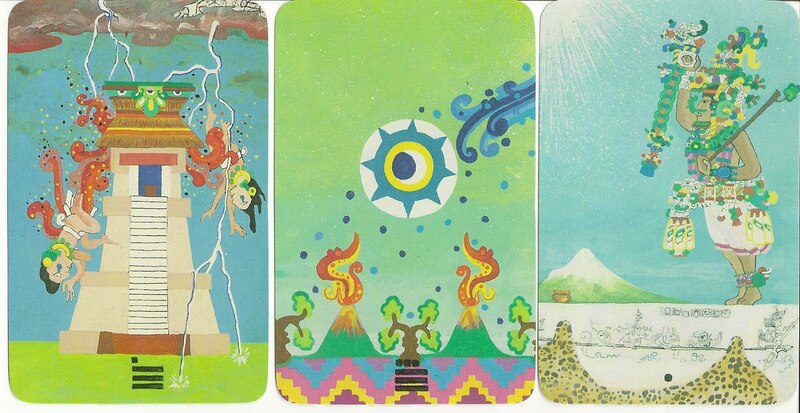 According to Balin there are many links between the Xultun Tarot and the books of Carlos Castaneda. Each of the Major Arcana, exepting The Fool and The Sorcerer, is named after one day of the Mayan month.The Fool, The Sorcerer, The Priestess, The Consort, The Ruler and The Priest are taken from wooden lintels found at Temple III at Tikal. 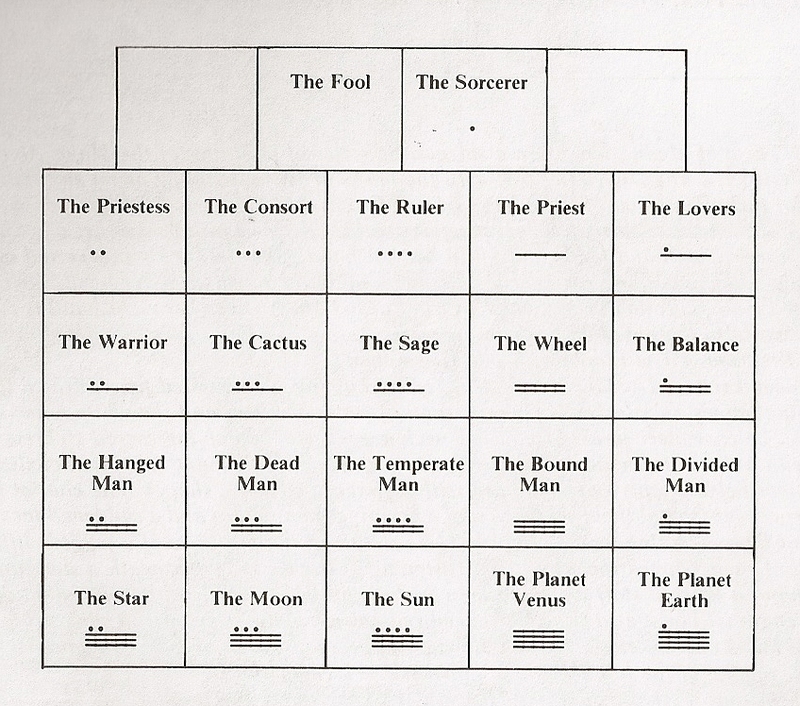 The upper row of glyphs runnin across the bottom of the cards The Consort, The Ruler and The Priest are also taken from lintels at Temple III. The lower row of glyphs comes from Stela 26/ Tikal Museum. 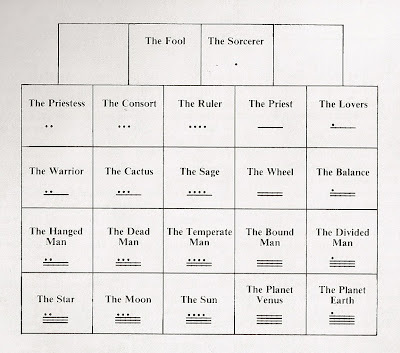 Additional designs are taken from Stelas 1 and 31.The Warrior and the Hanged Man are based upon a drawings found in Codex Nuttall. The Cactus is taken from a bone drawing at Tikal Museum. The Wheel contains designs taken from the Great Calender Stone of the Atztecs.